Fishing baits are often made from metal or flexible materials. You can use silicone for casting the lures. 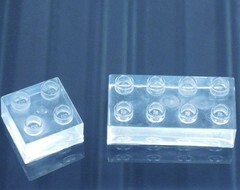 Most of the time silicones are used to make moulds out of. These moulds in turn can be used to cast low melting point alloys in or flexible materials or non flexible plastic like materials. Some of the materials cast in these kind of moulds are: Plasticrete or Plastisol (sold online by other companies). Or one uses flexible or rigid polyurethan. If you want to cast lead you have to use the High Temperature (HT) silicones in our shop. One of the easiest materials to cast with is our polyurethaan. Youcan make the casting lighter by adding a light weight filler like glass pearls. You can make the casting heavier by adding a high density filler like Filler PU. For an example how to make a copy of a standart bait please click here. Silicone Addition Wacker M4601 €46,25 Silicone Addition Wacker M4601 has a good resistance to casting resins (in particular, polyurethane) and low shrinkage. These silicones are very suitable for making strong, flexible and non greasy molds. Silicone condensation HT 60 Set (Hard) €39,95 Silicone condensation HT 60 are highly filled and may be used to make molds for the casting of high temperature compounds such as tin and lead. Filler glass beads (hollow) €4,25 Filler glass beads (hollow) are microscopic glass spheres. 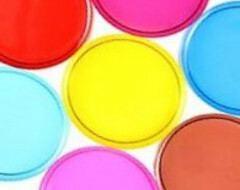 These beads are often used as a filler for silicone and resins. Polyurethane Casting System A75 Flexible Set 1,4 kg. €24,25 Polyurethane Casting System A75 Flexible Set gives a nice flexible rubber like cast with high tear strength. This PU is well suited for small to medium sized flexible castings. Silicone Condensation Kneadable (Above Average Hard) €42,50 This kneadable condensation curing silicone is an ideal way to copy small and relatively flat shapes quickly and easily.